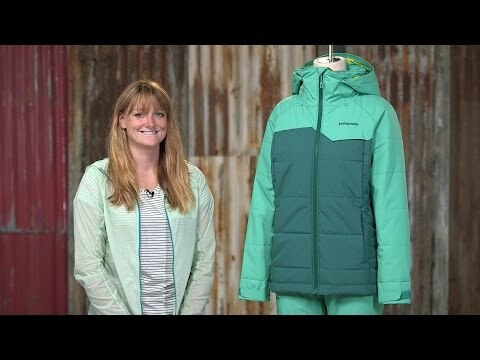 When you head out seeking turns, drops and distant untouched lines, you want a jacket that can adapt to all conditions. The Rubicon uses breathable ripstop fabric to move moisture out when you're setting the up-track. Lightweight insulation keeps you warm when you’ve stopped to assess the situation. All in all, it's a balanced piece that smooths out the transition from a windy northside ascent to a sunny, south-facing bowl. Face fabric is made of 2-ply polyester ripstop with Durable Water Resistant (DWR) finish. Insulation is compressible Thermogreen® polyester (90% is recycled) with 150g of insulation in the body and 100g in the sleeves. Contoured shaping complements movement, and quilted construction to reduce overall bulk. High fleece-lined collar keeps your neck protected. Removable helmet-compatible hood and powder skirt. Underarm zips off-load heat and articulated sleeves increase mobility. Adjustable cuffs and drawcord hem seal out the cold. Drawcord adjustments are in handwarmer pockets for easy access. Built-in Recco® Rescue System reflector allows ski patrol and mountain rescue teams to locate reflectors.